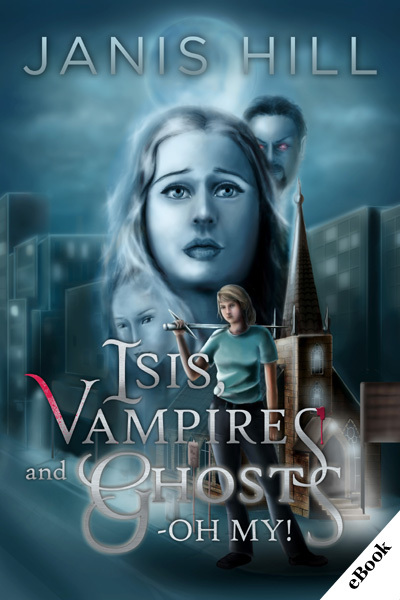 Home / Fantasy / Urban Fantasy / Isis, Vampires and Ghosts – Oh My! Too late to save her sister’s life, Stephanie must now save her soul from the vampire who has possessed her; helped only by a ghost with a potty mouth and the modern day Priestess of Isis. Welcome to a world within our own – the Other World. When Stephanie Anders discovers her estranged, wild-child little sister has died and she must attend her funeral, she discovers that Estella’s death is not necessarily as terminal as she had been lead to believe and that, rather than dead, her sister is more of the undead variety. Too late to save her sister’s life, Stephanie Anders must now try to save her soul from the vampire who has possessed her, Branwyre, eighteenth vampire Lord of the Aegean. With only the aid of the ghost of a pissed-off Buddhist monk with a potty mouth, and the modern day Priestess of Isis, Stephanie must battle demons and other denizens of a world she knows nothing about. Even her first task, to recover Branwyre’s crucible if she is to succeed in banishing the vampire before he has regained his full strength, is not what it seems. But dealing with a demon, or double-binding a vampire in a sunbed pales in comparison to learning how to forgive her sister for what she did, especially if she is to have even half a chance of saving her soul. Welcome to a world within our own, the Other World. A place of Darkness and Light; where gods, vampires, demons, and ghosts wage a constant struggle for survival.